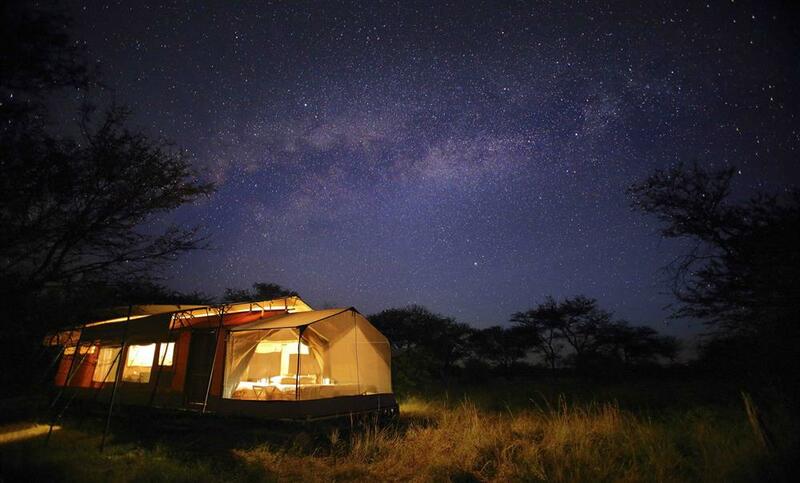 As the great migration makes its way across the expansive Serengeti plains, so the luxury seasonal Olakira Camp follows. 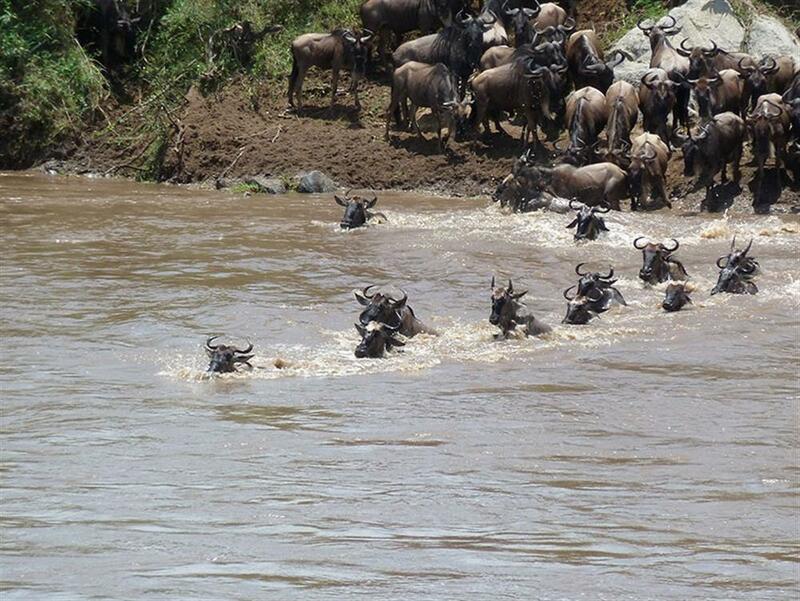 In the early part of the year, Olakira is perfectly situated to witness the calving of wildebeest. In the dryer months the camp moves to the Northern Serengeti to have a front row seat for when the big herds move north. 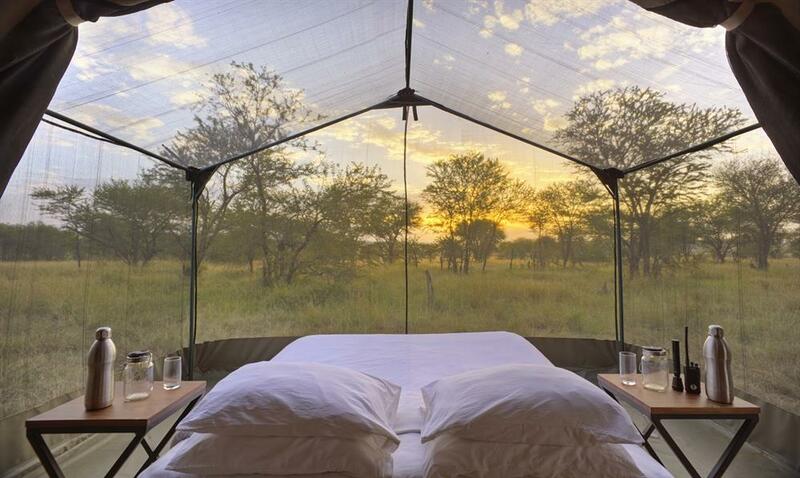 Olakira is an intimate mobile safari camp made up of 8 spacious and comfortable tents. Each tent features a king-size bed, en suite bathroom and private veranda with a spectacular view over the Serengeti. Time spent at Olakira Camp is channelled into game drives and wildlife viewing. 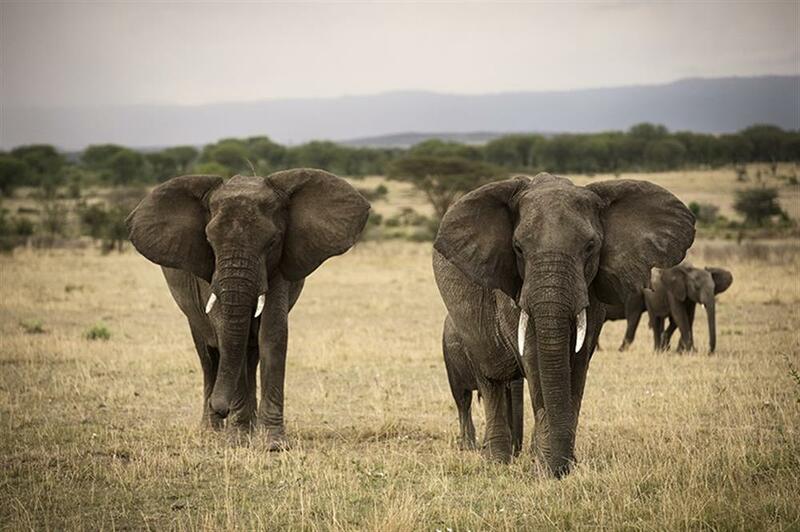 Whether the camp is on the Mara River or the Southern Plains of Ndutu, the aim is to get guests as close into the thick of the action as possible. Game drives can be either half-day or full-day with a picnic bush lunch enjoyed overlooking the Serengeti plains. Back in camp, story-telling, board games, star gazing or relaxing with a book amidst the sounds of the bush are some of the activities which can be enjoyed. When the camp is in the north, a crossing point directly in front of camp allows for spectacular game viewing whilst enjoying breakfast. Private meals in the surrounding bush can also be arranged by camp management.